Burlington Township police officer Jarrod Broadway shares his experience as a coordinator for the Burlington County Crisis Intervention Team and why it's so important for officers to be trained in dealing peacefully with people in crisis. Photo courtesy of the BTPD: Officer Jarrod Broadway stands with, from left, Annmarie Halbert and Anne Marie Biddle during a recent Crisis Intervention Team training course. Halbert and Biddle are both from Hampton Behavioral Health Center in Westampton, a community partner with the Burlington Township Police Department. In the line of duty, police officers face all kinds of unique and challenging situations involving the people they are sworn to protect. The outcome of these situations is often determined, for better or worse, by how officers approach the individuals involved. Jarrod Broadway is an officer with the Burlington Township Police Department and coordinator for the Crisis Intervention Team in Burlington County. A big part of his job is ensuring his fellow officers are well-equipped to resolve crisis situations in a peaceful manner. “There were times when, looking back in history, we could have done things differently, and most departments will admit there were a lot of situations that were potentially mishandled, not due to any malice, but just because of a lack of training and understanding,” said Broadway. According to Broadway, the Crisis Intervention Team program originated in Memphis, Tenn., in the 1980s and has since spread to become an international model. “It teaches law enforcement officers and mental health workers to deal more effectively with individuals with mental illness who are in crisis,” said Broadway. Broadway has a long history of working with people in crisis. He got his start as a paramedic, often working alongside the police force he would eventually join. “We responded to a lot of the same calls and we interacted with a lot of the same people, but our role during those calls was slightly different,” recalled Broadway. After 9/11, Broadway made a transition to the federal Air Marshal Service. “That’s where I got my entrance into law enforcement,” said Broadway. Joining the police force seemed like a natural next step for Broadway, who was ready for more stable work after years of constant travel as a federal air marshal. Given his background, crisis intervention is well-trod territory for Broadway. The 40-hour training program, which all Burlington Township police officers undergo, involves not just Broadway but a variety of professionals, including psychologists, psychiatrists, nurse practitioners and social workers, who bring their own experience to the table. According to Broadway, training starts with “be quick, but don’t hurry.” Learning how to slow down and de-escalate a situation using words rather than immediate action can go a long way when it comes to bringing crisis situations to a peaceful resolution. During training, Broadway shares a particular instance with his trainees when crisis intervention training prevented what could have been a violent outcome to a dangerous situation. He recalls responding to a call from a father who said his schizophrenic son had armed himself with a large hunting knife. At the time, New Jersey police officers weren’t armed with tasers, so use of deadly force was an unfortunate possibility. According to Broadway, the situation was beginning to escalate after the young man with the knife ignored several commands from officers to drop the weapon. When he heard one of the family’s neighbors call out to the young man by name, Broadway was able to make a connection and start talking to the troubled individual on a more personal level. “Now it’s not just the police yelling ‘hey you,’ we made that personal connection,” said Broadway. He was able to talk the young man down, and he ended up throwing the knife aside and sitting down. Instead of throwing him in jail, officers took him to a crisis center. As it turned out, the young man was off his medication and had been drinking. “He got back in the programs he needed to be in, and we don’t deal with him anymore,” said Broadway. 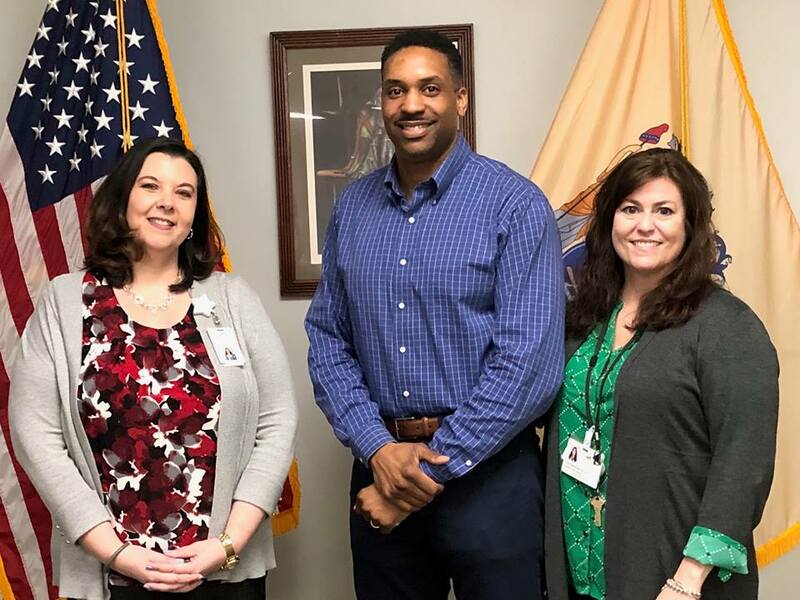 According to Broadway, the Burlington County Crisis Intervention program is in the process of planning meet-and-greet events throughout the county to introduce the public to what Crisis Intervention Training is all about. “We have a lot of officers with the training, but the community is not aware of it,” said Broadway. Information on these events will be posted on the CIT NJ and Burlington Township Police Department Facebook pages in the near future.